Glass of time, an hourglass, the sand begins to pour. If only there was no gravity, the sand would resist to fall. Grain by grain the sand begins to flow. 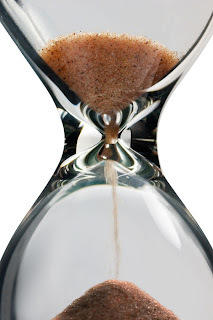 A minute, an hour, a day and a night go by, and we have lost an hourglass full of time. Hourglass after hourglass, the sand still pours, enough to cover an ocean floor. Hourglass after hourglass, the sand finally stops. It is the end of time and the end of your life.